Apple’s new policy of protecting the rights of musicians by preventing the illegal download, copying or sharing and distribution of their songs and albums has resulted in the removal of music downloading apps from the iOS App Store and the iTunes Store. However, there is not much to worry if you are a music lover. There are still some apps which can be used for downloading free music on your iOS devices. 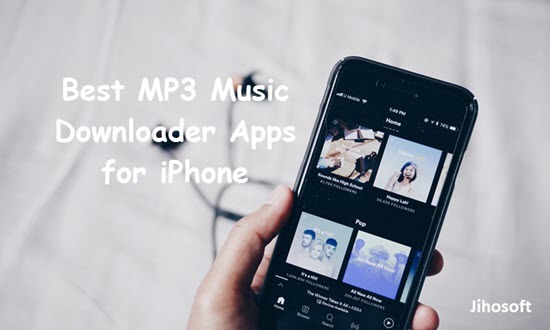 In this article, we listed the 7 best MP3 music downloader app for your to enjoy melody on iPhone. Tips: If you ever lost any important data like message, contact, video or so on, you can always use the professional Jihosoft iPhone Data Recovery to get back your precious data from iOS device. 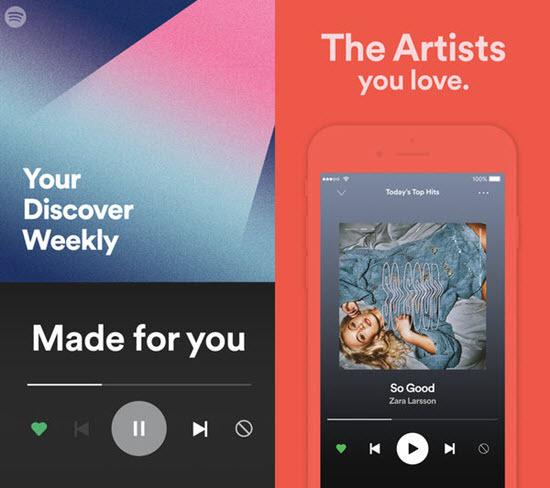 Spotify is one of the most popular music downloader apps for iPhone in the United States and offers a great user-friendly interface and features. The best part about the app is that it automatically groups the downloaded MP3 music based on their genre such as classical, rock, pop, etc. The search feature works great for finding out the needed tracks. Music can be streamed online as well as saved for later playback. Awesome database of songs with great sound quality. Downloading music on Spotify is free. However, some premium services require the users to pay. First install the app and run it. Then search for the required track. Choose Download from the three-dots sign near the song name. 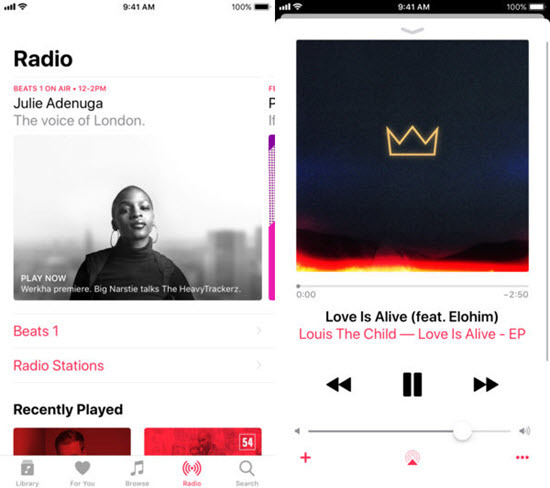 Apple Music is the native music app of iOS devices like iPhone, iPad and iPod Touch. It plays music quite well on iPhone yet does not support certain file types such as FLAC, WMA, WAV and some more. The subscription fee for music is $9.99 per month. 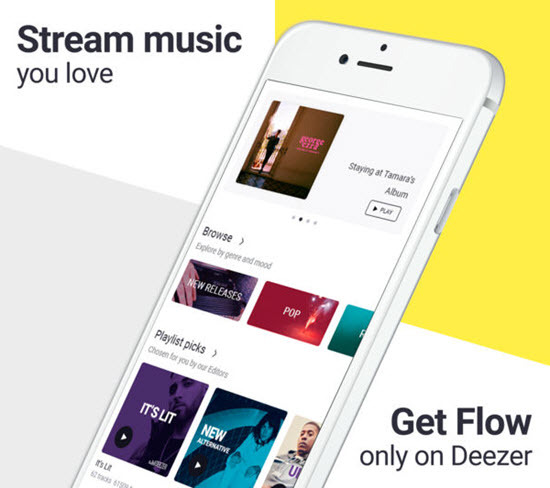 The app provides the option of easy saving of music for offline playback. It is the most compatible MP3 music downloader app for iOS devices. Requires a subscription for enjoying music streaming. 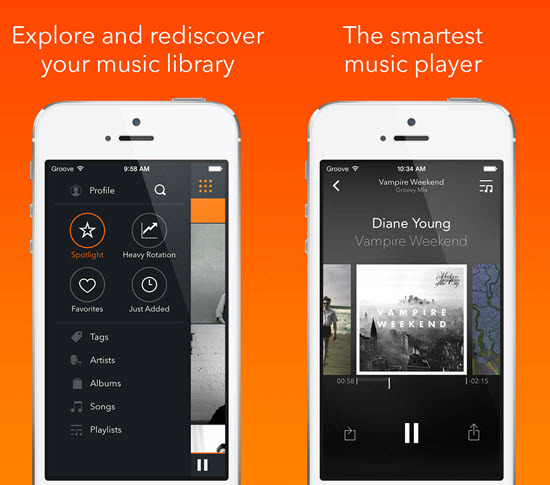 The Google Play Music app is available both for iOS as well as Android users. It is great for downloading and listening to great music tracks. There is a subscription fee of $1.99 per month for the music service. 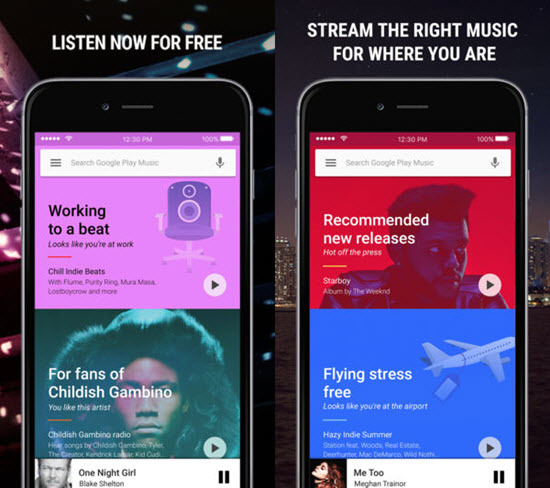 Google Play subscribers are allowed to play and download MP3 music on their iOS devices while the free version lets you stream music online for free. Wide variety of songs along with the availability of the latest and hot songs. It has one of the best and largest libraries of downloadable songs. Requires subscription for continued access to the music. 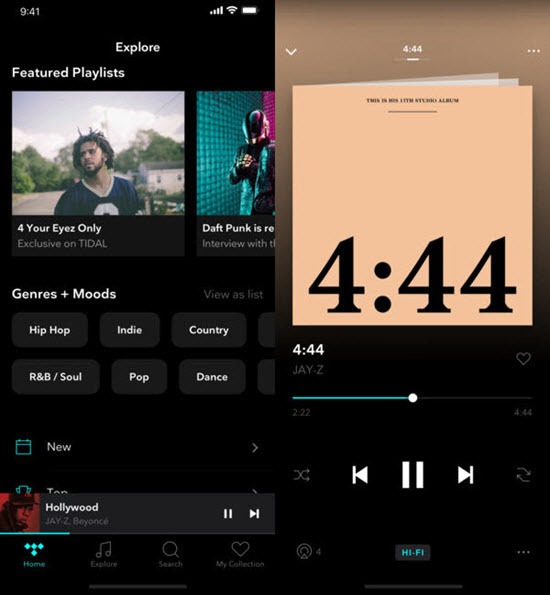 The Tidal app is somewhat similar to Spotify but has its own unique features. It offers music downloading, sharing, streaming at a subscription fee of $19.99 per month. It allows downloading of songs on the iPhone and listening to them later offline without an internet connection. Tidal lets you save music, albums and playlists offline on iPhone. Though expensive, it offers music with great sound quality. Requires subscription for continuing use and access to music. Deezer is a great iPhone app for enjoying music offline. It offers download of MP3 music at a subscription fee of $6 per month, which is really cheap. However, if you stop paying the subscription fee, the downloaded media will become unavailable. It offers a subscription option as well as a free 48-hour trial. Easy searching of music from the search option in the app. Music can be saved using the Download button. Microsoft’s music app Groove is also a good option for streaming music online. Like Google Play Music, it offers services on multiple OS platforms. The subscription fee for the service is $9.99 per month and allows users’ access to over 40 million high-quality tracks without any ads. It allows offline saving of music too. The service is also available as a 30-day free trial so that the users can try it before buying the subscription. Search for the music you want. Tap on the ‘Add to collection’ button from the three-dots option while playing the music. To enable offline availability of the music tracks, slide the ‘Available Offline’ slider to ‘On’ position. The above list provides a great many ways of downloading music on your iPhone or iOS devices seamlessly and at reasonable subscription rates. 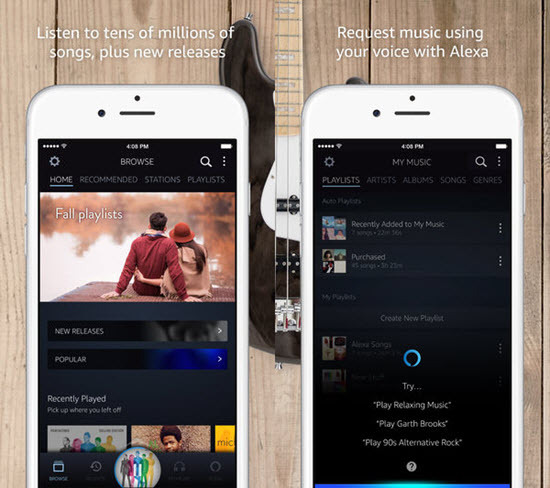 Are you a music lover and love saving music on your iPhone? Have better app suggestions? Let us know in the comments!